Every single Tuesday for the past year, we’ve been teaming up with hip downtown restaurant and performance space Acme Feed & Seed to host a free showcase of some of our favorite emerging local and national talent. For our latest installment, an all-local bill of up and comers and site faves, we were incredibly excited to present folk rock trio Pageant, garage rock transplants Zombie Garden Club, and returning rockers and friends of the site Blackfoot Gypsies. Read on for more about it! Pageant. Photo by Nolan Knight. We’ve written about local folk rock trio Pageant numerous times before, but I hadn’t personally had the chance to catch them live; add that to the list of things I love about hosting our Acme showcase, it’s a great way to bring down local bands we often cover. Rounded out by a rhythm section, the group hooked the audience, many of whom appeared to be friends, family, and fans, from note one. Hard to classify, Pageant channel elements of indie pop, country, and even the spirit of ’50s and ’60s girl groups, all thanks to the soulful vocals of Erika Porter and her brother, co-vocalist and guitarist Derek Porter. Confident and poised performers, Pageant played with a polish as if they’d been doing this their whole lives (and for the Porter siblings, we’d wager they have). Pleasant and poppy, earnest and emotionally substantive, and just genuinely gifted songwriters, Pageant are a band who should absolutely be on your radar, because they’re sure to burst out of the local bubble in no time. Zombie Garden Club. Photo by Nolan Knight. 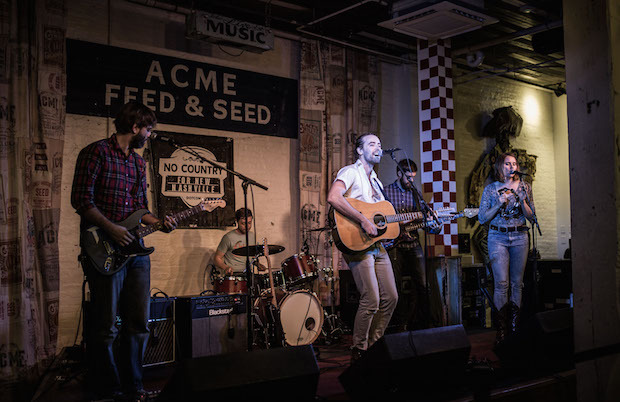 A band we came across by happenstance, Zombie Garden Club, the brainchild of multi-instrumentalist Johnny Douglas, are a total Music City hidden gem. 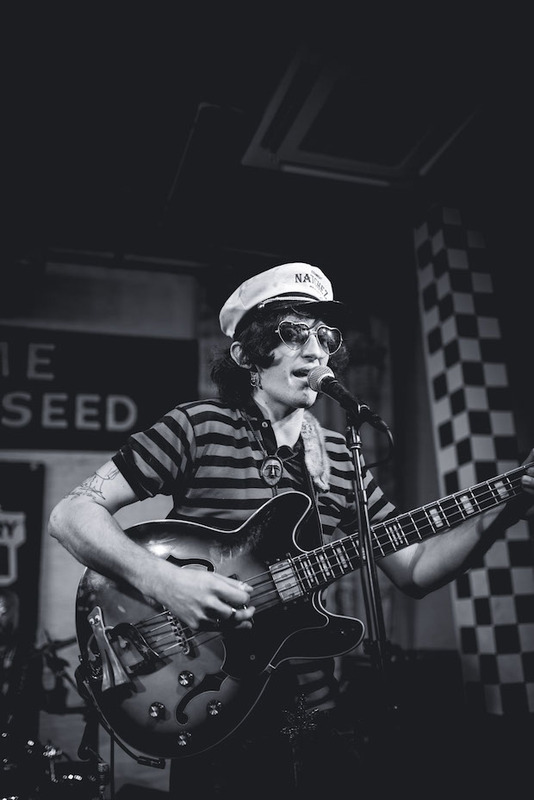 Transplanted from Toronto, the project, rounded out by a full rhythm section, showcases Douglas’ knack for combining vintage, fuzzy tones with modern, biting garage rock arrangements. Surprisingly heavy but accessibly poppy, the band’s set was an unwavering, sonic journey, laden with memorable riffs, sarcastic stage banter, and a whole of genre-spanning talent. While I didn’t know much about this act before Acme, I was not surprised to read that they’ve nabbed countless television placements; able to sound timeless while specifically pulling influence from the best of multiple musical eras and aesthetics, Zombie Garden Club are a rare, underrated, and refreshing find in a city where so many bands operate so automatically. Give ’em a listen if you haven’t yet. Blackfoot Gypsies. Photo by Nolan Knight. 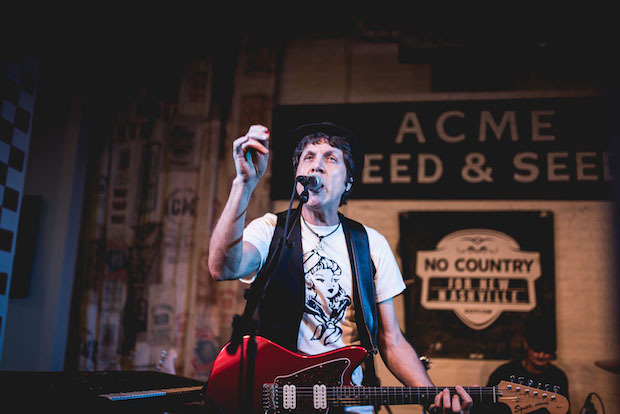 Returning to the Acme stage for the second time this year (and set to return again at our next showcase; something of a mini residency), Blackfoot Gypsies brought every ounce of energy, passion, and rock and roll unpredictability that we’ve come to expect from their frenetic live show. Donning an afro wig, boat captain’s attire, and luchador mask, the band made a point to at change it up visually, and, to my surprise, actually played a set stacked with new tunes as well; we always appreciate some variety. Channeling the unwavering rock energy of eras past, but adopting a sound that nods heavily to the retro while retaining some modern sensibilities, Blackfoot Gypsies are, and have long been, one of our favorite live bands in Nashville. Time and time again, their (well-deserved) confidence, bombastic performance style, and endless positivity has left us elated, and this show was no different. Ever appreciative, the band thanked the crowd for welcoming them back to Nashville after returning from the road, and played late into the evening, never missing a beat, preaching love, positivity, and rock and roll. We recommend seeing them any chance you get, and, fortunately, the next chance in just days away. 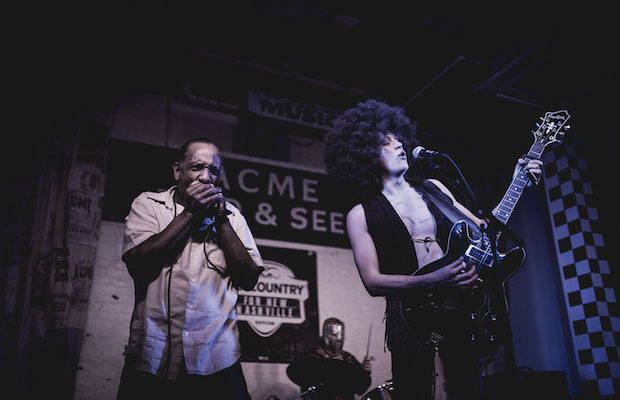 Our free, weekly Acme showcase continues this Tuesday, Aug. 18 with Roots of a Rebellion, Blackfoot Gypsies, and Charles Johnson. We hope to see you there!